Welcome to Wessex Hosting. We provide a wide range of internet services from web hosting to domain name registration and more. We can offer web mail and email hosting services, FTP services, branding, blogs and forums. Our wide range of expertise makes us your perfect online partner so get in touch today and see how we can help grow your online prescence today. Registering a domain name gives you the starting point for getting yourself online, or allows you to expand your website portfolio. The great thing about Domain Henge is that we’re easy to use, provide low cost domain name registration and are always happy to help! Just drop us an email or give us a call if you have any questions and we’ll see what we can do for you. Or go to our Shop. Pick Your Domain Name Now! 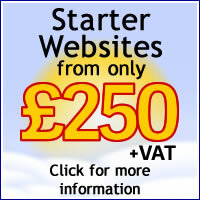 To get your business on the net on selected hosting plans. ©2011 Wessex Hosting Ltd, All rights reserved.